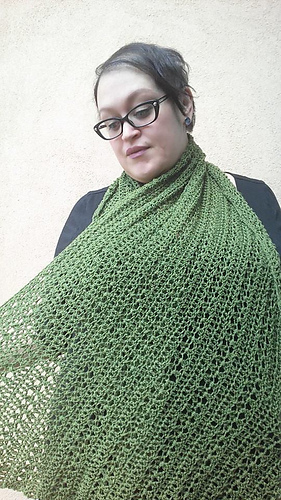 I designed this pattern for my best friend. 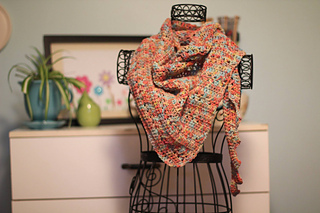 I wanted something nice and light that can be used in the warmer months, yet also be cozy in the colder months as well. 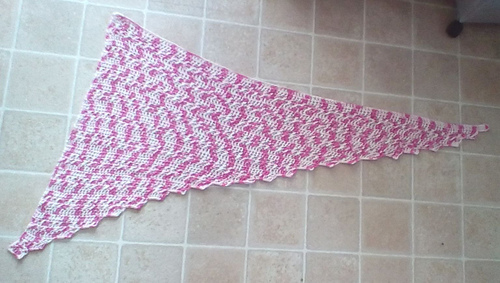 The idea came to me while designing a wing for an amigurumi design. 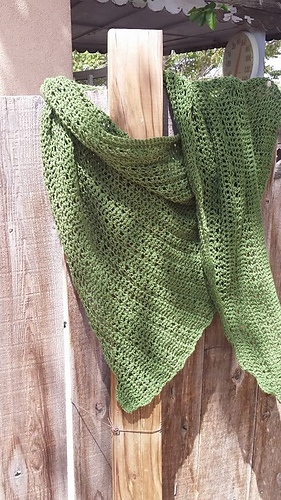 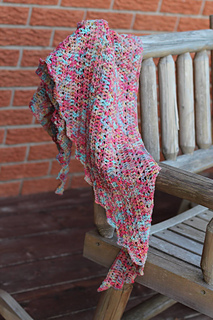 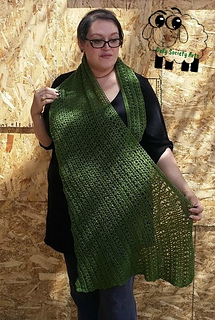 You will want to use a light weight yarn (#3 or smaller) in order to gain a nice light, drapey shawl or shawlette. 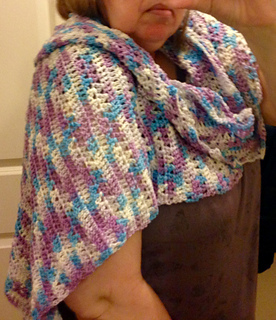 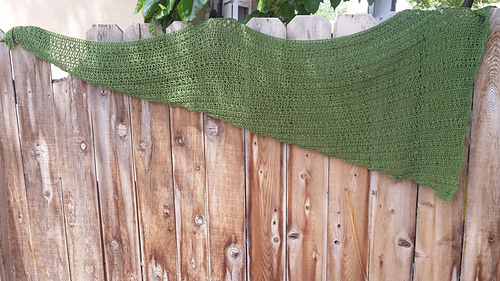 The shawlette version is about 42” long and the shawl version is about 66” long.